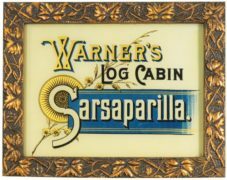 This is a Pepsi-Cola porcelain sign, circa 1950’s. The sign is 14″ tall by 24″ wide and reads “Take home a carton”. 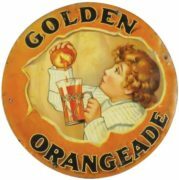 Most of Pepsi-Cola’s early advertising were signs made of porcelain, tin, cardboard or cut outs. 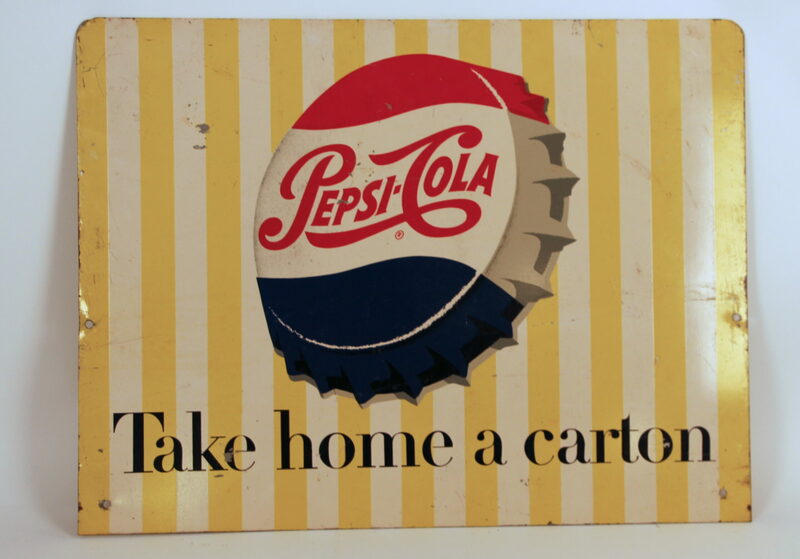 Pepsi’s other popular advertising memorabilia are soda bottles, soda carriers, glasses, clocks, thermometers and giveaways. 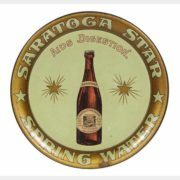 Pepsi did not produce many advertising serving trays and calendars they way it’s main rival Coca-Cola did. Pepsi started in the 1890’s by a pharmacist Caleb Bradham in North Carolina and was originally called “Brad’s drink”. Pepsi was first intended to help cure stomach pains. Pepsi was ultimately named after a condition called dyspepsia and was trademarked in 1903. Pepsi went bankrupt in 1923, when Caleb thought sugar prices would rise and he gambled on the stock market, but sugar prices fell. So in 1931, Pepsi-Cola was bought by Loft Candy and was reformulated. In the late 1930’s, one of Pepsi’s most well-known ad campaigns featured two cartoon cops called “Pepsi and Pete”. 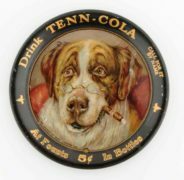 Some of Pepsi’s most sought after historic advertising items are from the “Pepsi and Pete” cartoon character collection. In the 1940’s, a popular advertising jingle was “Nickel Nickel” referring to the price of Pepsi at the time and was a hit record. Another big Pepsi ad campaign was in the 1960’s called, “The Pepsi Generation”. This was targeted to the up and coming younger generation.